This bread is a life saver. Can be made in a few minutes and then be used with absolutely everything! Savoury and sweet, just let your imagination go wild. Below I have a few suggestions. 1. Combine all dry ingredients. Add the sour cream. Mix well. It will be a sticky dough. Use gloves or dust your hands with flour. 2. On a baking surface covered with flour, roll into a thick loaf. 3. Cut into 6 pieces. 4. 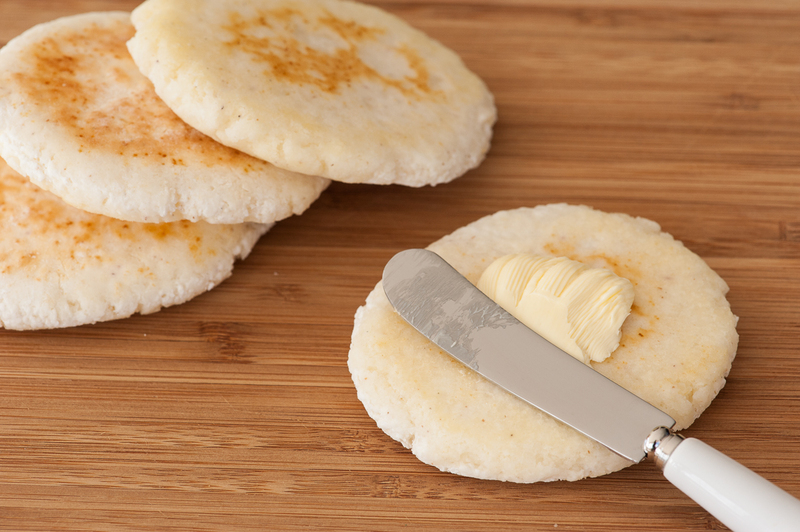 Press each piece to create a thin round cake. I like to use a “cake scraper”, see photo. 5. On low to medium heat, melt some butter in a frying pan and gently fry each “cake” a few minutes on each side until lightly browned. 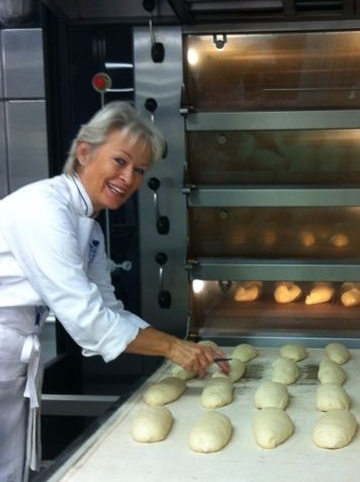 This bread is wonderful, warm and fresh with just some butter and jam. 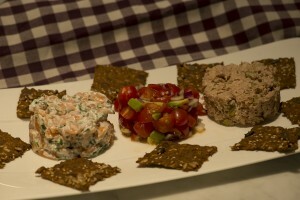 Or serve with the Mushroom Anchovy Salad on top. If you make the “cakes” smaller they are very useful as canapé bases. 1) Add some chopped rosemary to the dry ingredients and crumble a small piece of goats cheese into the sour cream. This creates a savory bread that goes well with soup or stew. 2) Add 1 tbsp of honey to the sour cream and serve as a dessert with whipped cream and strawberries. 4) Please create your own variation and share in the “comment” section below. This fun, sweet bread is a bit like a donut. Just sprinkle with a sugar/cinnamon mix and dip in a chocolate sauce. Gluten and dairy free. 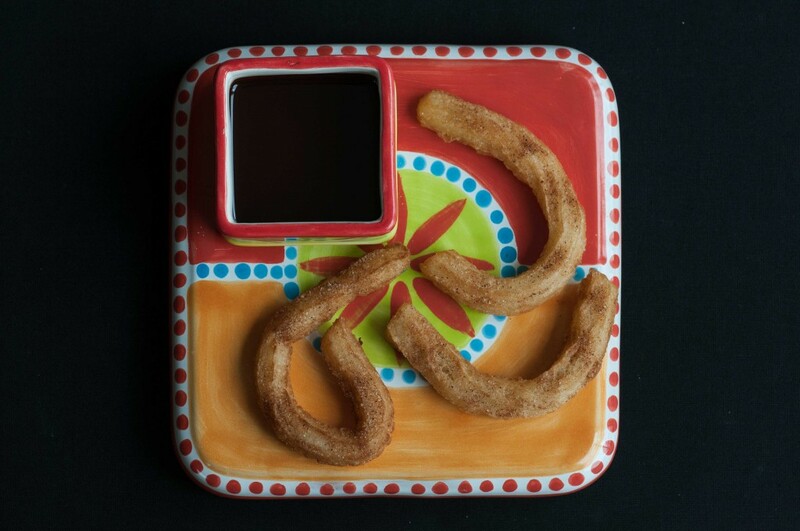 Makes about 10 pieces of 10 cm long Churros. Bring the water, salt and oil to a boil. Spoon into a piping bag with nozzle providing long strings the size of you smallest finger. Heat enough oil in a pan to allow a churro to float freely. When hot (a small piece of bread should brown in less than 30 seconds), press the batter from the piping tube directly into the oil. Cut the batter with a scissor to get the desired lengths. Fry until browned. Turn if necessary. Serve with a chocolate dipping sauce. 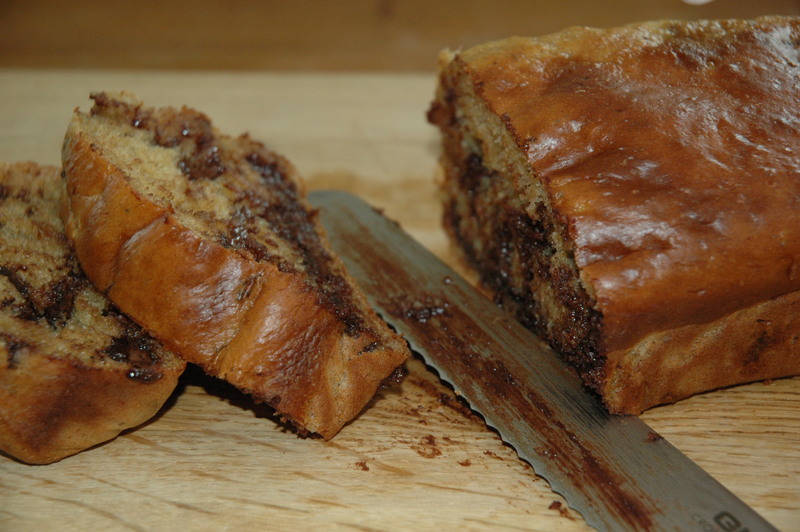 This sweet bread is a family favourite. The perfect use for those slightly browned bananas. Place in oven for about 20 minutes or until a knife inserted in the middle comes out clean. These rolls have been a favourite in my family for many years. 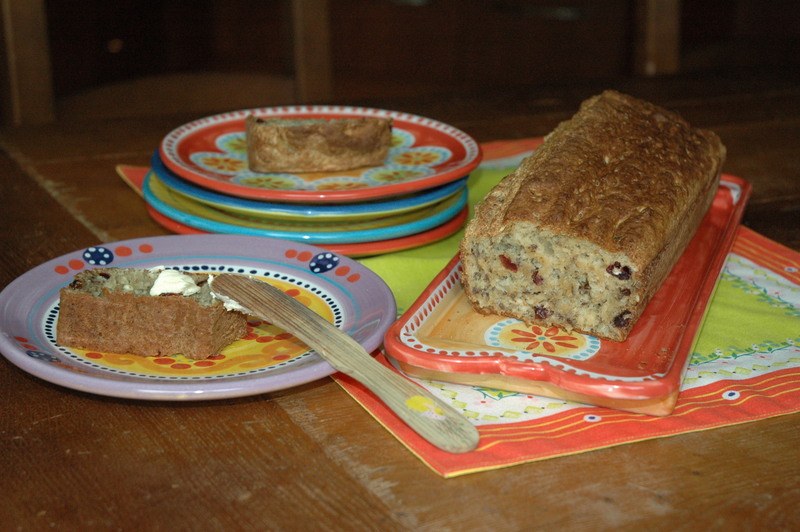 With the tanginess of cranberry and the sweetness of the raisins, they are wonderful with cheese or just on their own. Please try to find the Psyllium Husk. You will not regret it. The most important ingredient in gluten free baking! For a Sunday menu, why not serve an appetizer of Stuffed Mushrooms, followed by a Roasted Balsamic Tomato Soup together with the Oat and Raisin Rolls and with a sweet ending of Raspberry Pie with Crème Anglais. 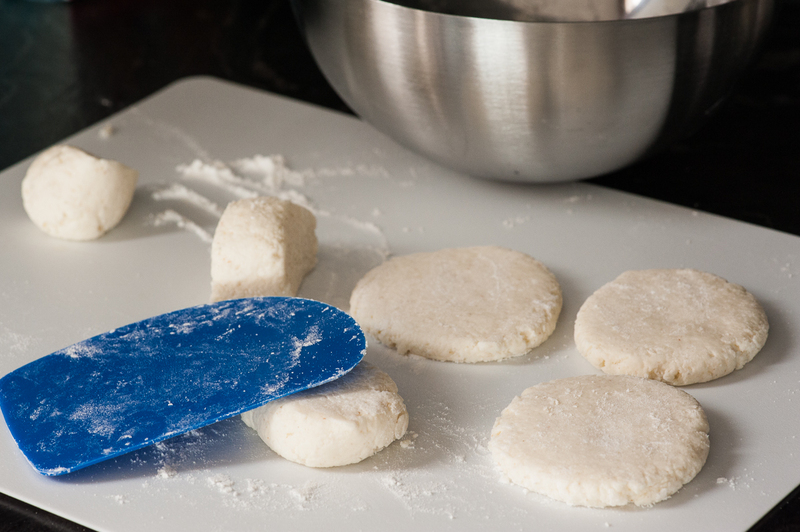 Add all remaining ingredients and work with a dough mixer for 10 minutes. With 2 spoons, form “buns” and place on baking sheet. In oven 225 C 10-12 min. Let cool under a kitchen towel. “These rolls surely cannot be gluten free “ – people tell me all the time. Why not make them and see for yourself? 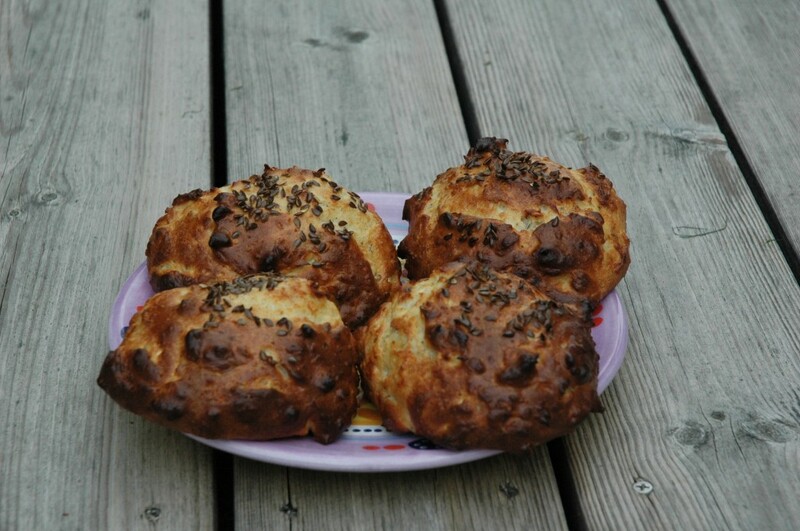 You can make them as a loaf (in a tin) or as rolls. Serve with Cod Casserole with Thyme. 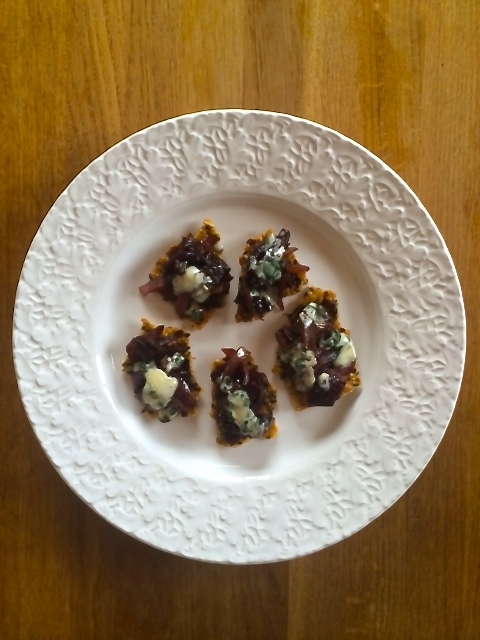 The secret to this recipe is the Psyllium Husk (read more about this here). You may use Xantham Gum instead but some people find it hard to digest. 300 g (or about 600 ml) gluten free flour (not self rising). Combine the water, yeast (if you are using fresh yeast, stir with care to completely dissolve) and Psyllium Husk and let stand for 10 minutes. Add all other ingredients and knead the dough in a large bowl for 10 minutes. The dough should be quite loose and sticky. Cover with a towel and let proof in warm place for 30 minutes. The dough will double in size. Push the dough down into the bowl to let some air out. Oil your hands well and shape 12 rolls, which you then place on baking paper on an oven tray (you will need to add oil to your hands around every third roll, otherwise too sticky). Make 2 parallel shallow cuts on each roll (helps the bread to rise evenly) and sprinkle some flour on top (for decoration). Cover with a towel and let proof for another 30 minutes. Bake in the oven for 18 minutes. During the first few minutes of baking, throw in 5-6 ice cubes at the bottom of the oven (I usually place a small tray for this purpose at the bottom of the oven). This will creates some steam, enabling the bread to rise a bit extra and forms a nice crust. When they are done, the rolls should feel light and sound hollow when tapping on the bottom of the roll. Let cool completely on a rack before eating. Keeps well for another day! For a festive Sunday Brunch. To be served with Zucchini Blinis. These crackers will take about 1 hour 15 minutes to make. Makes one large oven tray. 150 grams mixed seeds (when in a hurry, I simply use Waitrose Love Life mixed seeds) plus a handful for the decoration. 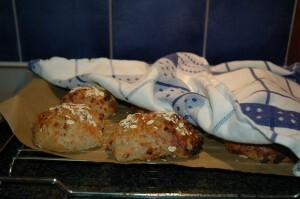 Place the sticky dough on greaseproof baking paper covering an oven tray. 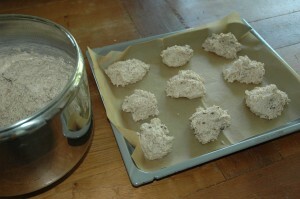 Put another sheet of baking paper on top and press on the dough to form a thin layer covering the whole tray. Sprinkle some more coarse sea salt on top (optional) and a handful of seeds. Pre cut in squares and place in oven for about 50-60 minutes. Cool on rack and break apart in squares.